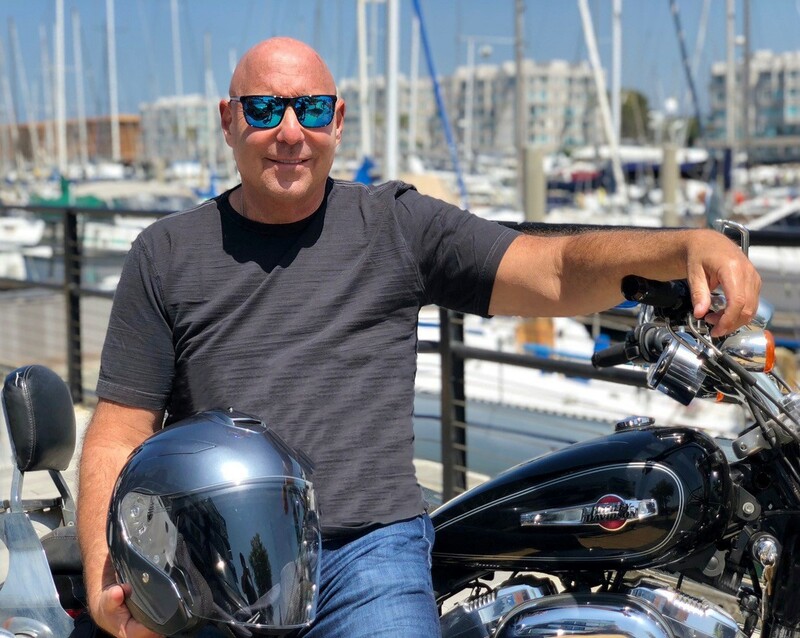 Lew Jaffe is an entrepreneur, former high-tech CEO, college professor (won professor of the year in his second year of teaching), philanthropist, and has founded three companies. In his career, he has created over $1 Billion in shareholder value through growing businesses and executing successful exit strategies. Many consider Lew to be “The Godfather of Video Conferencing,” as the company, PictureTel, created the first video conferencing systems for use over telephone lines, long before Skype and Facetime. 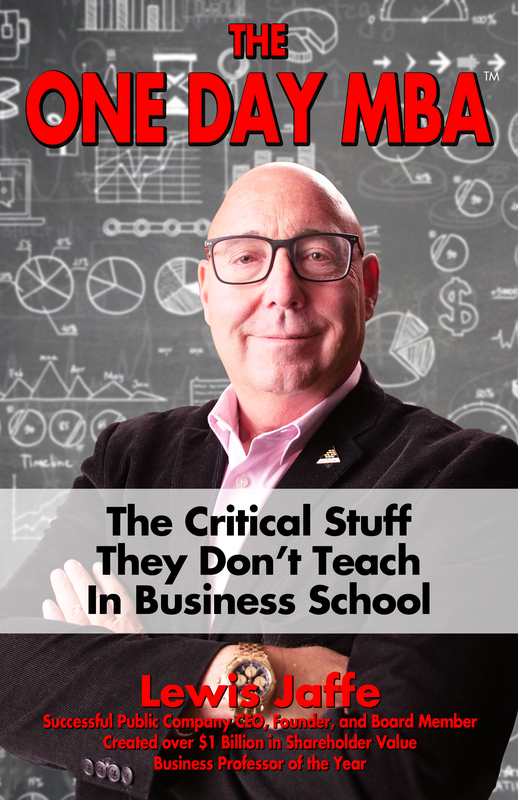 Today, Lew is a clinical professor of entrepreneurship and an executive coach dedicated to maximizing the potential of his students and clients. Also, he is a public company board member and is known for creating tremendous value. Lew Has developed “The One Day MBA” program for people who are too busy, or don’t want to go to graduate school. The lessons he teaches are practical, insightful, and applicable, rather than stricly academic. They are designed to be useful from the moment you learn them. All speeches are tailored to accommodate each unique event. Other business topics are available upon request. The greatest athletes have coaches, as do the greatest executives. Executive coaching helps executives develop and hone their leadership skills. Coach Lew helps the executive sort out the noise and focus on what is truly important. Together, systems for greater sustainability and repeatability get implemented to drive the desired results. Face-to-Face and Video Conferencing Sessions Available! Corporate training includes large group presentations, workshops, and one-on-one sessions that promote interdepartmental communication, customer focus, process improvement and the implementation of “The Balanced Scorecard,” all while focusing on achieving specific outcomes developed before the sessions. The best meetings need a professional facilitator to help create and follow the agenda, keep the team focused on achieving the best outcomes, and help the participants see things more clearly. While “in session,” Lew keeps the conversation moving forward, engaging all the participants to then drive the session towards addressing the desired outcomes and building highly effective teams. People will leave the sessions reinvigorated and stronger, as individuals and as a team. The One Day MBA is written from the viewpoint of a successful public company CEO and Award-Winning Business Professor. It provides valuable, insightful, and highly beneficial business information to both entrepreneurs and intrapreneurs looking to take their skills to the next level. The book is for owners, founders, executives, and for anyone looking to drive their career forward, conduct business more successfully, and develop new skills. It details how a successful CEO thinks, sharing the specific tools and perspectives that helped the author create over $1 Billion in shareholder value. In addition, the author has been a board member for numerous public companies, including the Benihana and PictureTel Corporations. The concepts, lessons, and stories are all practical and can be implemented immediately after reading. These same insights have led to the creation of uber growth strategies, as well as helped students become distinguished leaders who demonstrate integrity and intellect in the business world. By taking an entrepreneurial approach to problem-solving, readers will learn how to identify opportunities, anticipate, and alleviate problems in all facets of business. – The Entrepreneurial Mindset: Whether you own your business or own your job, it’s critical to know the difference between what is important and what is interesting, and how to stay focused on the right stuff. – Migrating from Management to Leadership: Managers focus on systems, processes, and repeatability while leaders are focused on people and vision. Knowing when to manage and when to lead is what creates true leaders. – The Balanced Scorecard: This is one of the best tools to vet ideas and initiatives to see their impact, as well as all the resources needed to implement them. It’s also the best way to communicate the company’s vision and tasks throughout the organization. – Stop Selling, Create Buyers: Selling drives the price down, as opposed to creating desire and buyers, which results in holding price and building value. – The French Fry Rule: This is one you must read on your own. It’s the best lesson on discipline, EVER! This book reads more like a novel, than a business book. Each lesson is ready to use and will make an impact immediately. The One Day MBA synthesizes, in a concise fashion, the real-world situations, techniques, and mindsets that are rarely addressed in business school. The program details how a successful CEO thinks, sharing the specific tools and perspectives that helped Lew Jaffe, an award winning professor, create over $1 Billion in shareholder value. 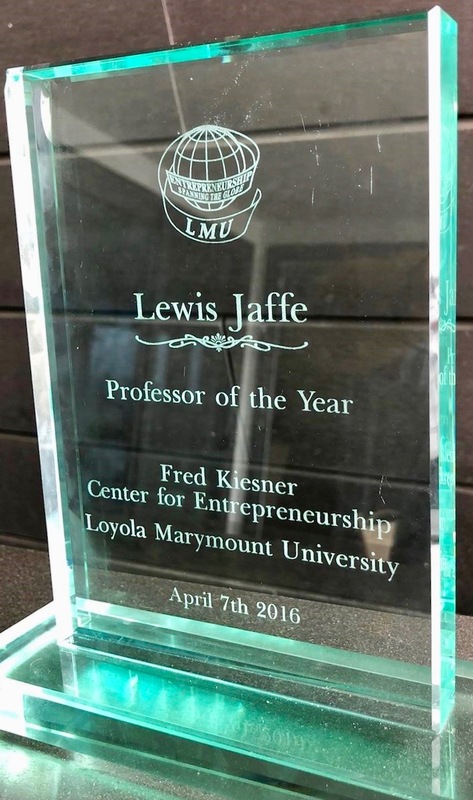 After only 2 years of teaching, Lew was awarded Professor of the Year at the Fred Kiesner Center for Entrepreneurship at Loyola Marymount University.